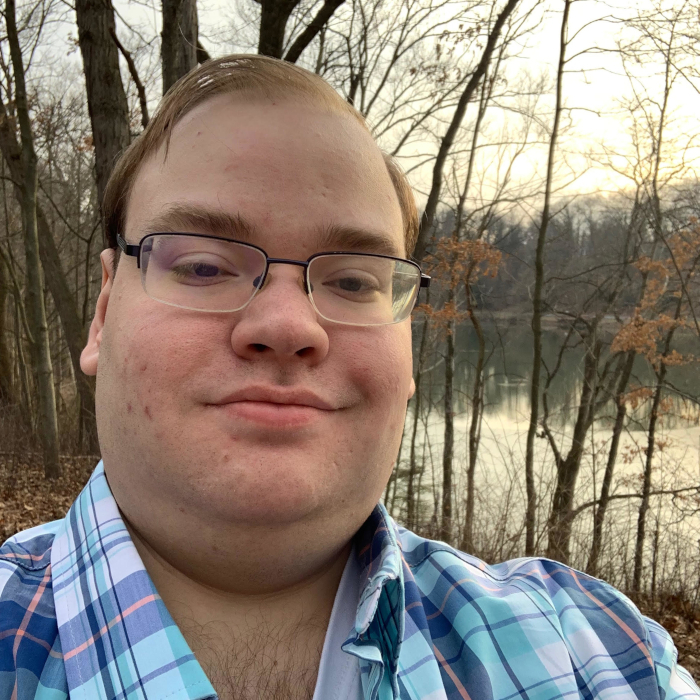 I am a software engineer on the Community Platform Engineering team at Red Hat, Inc., who lives in northeastern Ohio. My research interests include programming language theory, type theory, category theory, and logic. I want to work hard to better the state of the software engineering industry by making use of these fields. I am a software engineer on the Fedora Engineering team at Red Hat, Inc. In my spare time, I research type systems and programming language theory. I maintain a plethora of open source projects, and nearly everything I touch is open source. I am learning upright bass and hope to one day be a jazz bassist. Alongside this, I have been known to fiddle around on my electric drum set, upright piano, bass guitar, and acoustic guitar. I am a swing and blues dancer who also DJs dances in the Pittsburgh and Northeast Ohio areas. My DJ set-lists are available by clicking the link at the top of the page. I also run sound for live-band dances in Pittsburgh. I love learning about ways of improving and advancing computer science and software engineering. I spend a large amount of my time reading about type theory, category theory, and logic, along with applications of all of these, such as Idris, PureScript, Haskell, and Coq. When I'm not contributing to Open Source Software or reading about my research interests, I am usually taking pictures, playing chess, talking on the ham radio bands, or playing with my german shephard dog, Skye. Or, of course, doing homework. I have also recently taken a strong interest in linguistics, so you might find me hiding behind an open Linguistics book, or studying a language such as Latin or Spanish. In the future, I hope to learn about categorial linguistics -- applying type theory and category theory to linguistics. In addition to the above, I love swing and blues dancing. I've held several leadership positions during my time as a university student, including presidential and vice-presidential positions for several clubs. I am the president of the Northeast Ohio Experimenters Club. In 2004, I passed my amateur radio exam and became an amateur radio operator. In 2012, I passed the next test and became a general-class amateur radio operator. In 2014, I became an ARRL-accredited Volunteer Examiner. In 2017, I finally obtained my extra-class license. In 2012, I was awarded the Fedora Scholarship because of my involvement within the Fedora Community. In 2011, I was awarded a scholarship by the ARRL for my involvement in the hobby of amateur radio. I took a serious interest in programming in 2005 and in 2012 I realized for the first time how much room there is for improvement in our field. This discovery led me to statically typed functional programming which further led me to category theory and my other research interests, which are listed above. I have experience with Haskell, Idris, Coq, Scala, Fay, and PureScript, along with imperative and object-oriented languages such as Python, Ruby, and Java. During high school, I was enrolled in a Cisco networking class where I received college credits and learned about routing and networking. Around the time I graduated high school, I joined the Fedora Project's infrastructure team and have been a part of it ever since. I help to maintain a large number of applications and servers. In early 2014, I also joined the haskell.org infrastructure team where I help to maintain the servers and applications used there. I have experience with various Linux environments including Fedora, RHEL, CentOS, Gentoo, NixOS, ArchLinux, Debian, and Ubuntu. I have a working knowledge of FreeBSD and OpenBSD. I am familiar with several configuration management systems, including Puppet, Ansible, and Chef. I have an interest in cryptography and security and applying these to infrastructures.